When you're looking to win, you need to shop for a router that can provide the speed and competitive edge to get the job done. You can't be the best gamer with an outdated router. Unfortunately, many Americans suffer from slowed game speeds and high ping in the virtual world effects their multiplayer gaming matches. Consequently, having a router that can keep up with the strong, stable connections many Internet Service Providers (ISPs) offer makes the difference between losing and winning. In addition, serious gamers know the importance of a streamlined experience, and that they need to take into account the differences between Megabytes and Gigabytes for a superior data transfer. As a result, with a great router, you can enjoy your gaming experience without interruptions. Furthermore, by running an online speed test, you can decide if it's time for an upgrade. This checks the download and upload speeds in terms of megabytes per second. Even if you're not a gamer, it's important to have a router that can pull its own weight. Consequently, if your ISP is delivering great bandwidth speeds of 100Mbps, you'll want a router that can match the ISP. To help you reach those speeds, we're offering the best routers for gaming on the market. A high-quality gaming router improves features and services run more quickly as a result. The floodgates will open as a result, allowing you an easier time playing online multiplayer games, streaming Netflix and meeting the gaming requirements for anything you want to play. These routers can also offer you greater wireless range, faster data transfer and the megabyte-power you need to win competitive match-making games. From this list, you'll find the best model to cover your gaming needs. One of the most important features to keep in mind while shopping is how many devices you'll need to connect through corded means. The ports available on various router models can differ wildly. You'll also need to decide whether you want two or three bands, which can effect the connection speed available. Lastly, take into account the kind of warranty you're looking for. For those on the hunt for the bandwidth they need for gaming, the NETGEAR Nighthawk Pro AC2600 is a solid gaming router option. This device is built to allow 4K streaming using a dual-core, 1.7GHz processor. To keep control of VPN options and connection management, it also includes a handy dashboard that you can work from. Furthermore, from that customizable dashboard, you'll be able to control your VPN, WPA/WPA2 clients and manage security connections as needed. Due to the tool, you'll be able to make sure you're getting the best bandwidth and have the option to personalize your ideal type of connectivity. Finally, the best part of this is you'll be able to do it without any stalls, keeping you connected through it all. 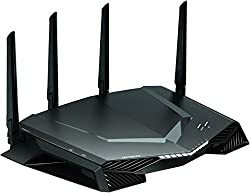 Because it's designed for gamers, the NETGEAR Nighthawk Router for Pro Gaming AC2600 is able to provide wireless speeds up to a stunning 2.6Gbps. It also uses a convenient Geo-Filter to ensure that devices are allocated to the strongest local connections. Because of this feature, the router scouts for the strongest options and chooses the ideal one for your device, ensuring that you don't have to deal with as much lag spike. You'll also find that the speed offered by this router can be allocated to a single device or divided among multiple. In some cases, customers can find that after the first 90 days, they aren't as covered by the router's warranty as they expect. Furthermore, there can be some times of unreliability in the signal, resulting in them dropping or becoming weak. Geo-Filter allows you to get the lowest possible ping. Reduces lag and improves overall performance. Some customers experience discrepancies with the warranty. Speeds can sometimes drop without apparent reason. For those in the market for something solid and powerful, this router is a fantastic option. For those who aren't looking to spend a lot of money for an improvement, the Card-King is one of the best options out there. It's able to offer 1,200Mbps speeds and 24/7 technical support to ensure you're getting everything you need from the device. You'll also be able to enjoy a dual band connection made up of a 5.0GHz (up to 867Mbps) band and a 2.4GHz (up to 300Mbps) band. Using the Card-King, you can be assured that you'll be able to reach at least the bare minimum you require for good connectivity, making it a fantastic choice for the budget gamer. In addition, you'll get the ability to use it for online multiplayer matches whether it's on your video game console. If you prefer computer gaming, then the Card-King can provide that ideal connection for your PC. 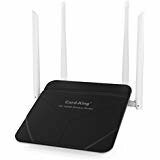 Furthermore, setting up the Card-King Wireless Router is very straight-forward, and you'll be able to have up to 30 connected Wi-Fi devices without a problem. Though its wireless range has managed to get some mixed results, many find that the device is solid when it comes to reliable stability without lag. This compact 6.6 x 6.6 x 6.8-inch gaming router also includes four LAN ports for multiple wired connections. The Card-King Wireless Router also allows you a lot of control over things like the parental security, WPA/WPA2-PSK and firewall so that you can have your settings just as you need them. It also connects to 802.11ac/n/b/a so you'll get plenty of connectivity options for the perfect connection. Because this is a budget option, it may not offer the same speeds as other options. In addition, some customers can have a more difficult time getting this device set up using the included instructions. Some customers find that the included instructions aren’t clear enough. In some cases, customers can find that they get lower speeds than with other routers. If you're looking for something that can improve speeds and provide you a better experience at a budget-friendly cost, this is a great way to go. Due to powerful Wi-Fi connections, a data transfer rate of up to a solid 2,600Mbps and 4K streaming, you can't go wrong with the Norton Core Secure Wi-Fi Router. It truly has the best design and is built to be geometrical looking so that it appears as more of an art piece than a piece of equipment. Because it uses Norton Core Security Plus software, you'll also be safeguarded against a huge variety of potentially harmful viruses. The Norton Core Secure Wi-Fi Router has many features to offer you, including 1GB of RAM, a 1.7GHz dual processor and 4GB of flash, making it great as a gaming router as a result. You'll also get four-gigabit Ethernet ports and two USB 3.0 ports so that you can have plenty of connected devices. In addition, the router provides 5GHz and 2.4GHz simultaneous dual-bands for added convenience. Using packet connections, this router is also able to offer multi-layer protection that runs deep. It's easy to get installed and you'll have a number of options for both direct connectivity as well as wireless connections to allocate to. Furthermore, you'll have access to 4.4 AC2600 MU-MIMO features as well as IEEE 802.11a/b/g/n/ac connectivity. Overall, for those who are looking for a great router with amazing security features, the Norton Core Secure Wi-Fi Router is truly a beacon of safety and speed! While many have loved using this device, in some cases customers do find that they have to reboot the router frequently in order to keep their connection and speeds. In addition, the signal may fluctuate at times, causing it to drop entirely. Some customers can experience losing their signal frequently. In some cases, it may need to be rebooted frequently. If you're looking for a device with a high level of security that won't be an eyesore in your home, the Norton Core is a fantastic device. For those who need speed for gaming, this is one of the fastest routers that you'll find on the market today. As a result, on each band, you can get speeds up to around 4.6Gbps, meaning that the combined available speeds top out at 7.2Gbps. Because of that, the NETGEAR Nighthawk H10 AD7200 is great for gaming as well as multiple streaming scenarios. The fast Wi-Fi connectivity provided by the Nighthawk X10 allows it to deliver quick downloads, outstandingly smooth 4K streaming and stable wireless connections. In addition, the router is made with six-gigabit LAN ports to offer fast bandwidth speeds to all wired connections. You'll also get MU-MIMO capability alongside a fantastic 1.7GHz quad-core processor. The Nighthawk X10 also offers 160MHz to provide your mobile with Wi-Fi speeds double what most other routers can provide. For those who have an ISP that allows it, this device can also give you a 10-gigabit fiber connection directly, giving you intensely powerful speeds. Due to the 802.11ac and 802.11ad connections, you'll be able to get stable links allocated to your devices, giving you no end to the media you can enjoy through them. Through the PLEX software featured on the Nighthawk X10, you'll also be able to view your content easily on any allowed device. Overall, it's a powerhouse of a router with a lot to offer! Most customers have loved the speed and efficiency this router can offer, but they can have problems getting in touch with customer service if any problems should occur. Furthermore, in some rarer cases, the device can cease working altogether. Can greatly increase connection speeds. Provides three bands for strong connections to multiple devices. In rare instances, it can suddenly stop working. Some customers have experienced difficulties with customer service. If you need a lot of power and top-notch speed then this device is definitely the way to go. 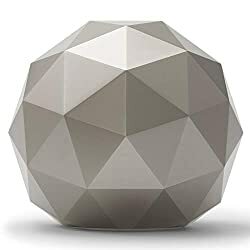 While this device may not have Wi-Fi, it's fantastic for getting faster connection speeds on your wired connections. It's also able to provide transfer rates that can leave wireless connectivity options in the dust. Because of those features, the NETGEAR Nighthawk S8000 is an excellent choice for extreme gaming. 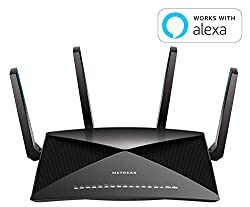 Furthermore, the NETGEAR S8000 is a great device to connect to a gaming router, allowing you to create direct wired connectivity to the Xbox One S, Playstation 4, laptops or PC desktop. Through those features, you'll have a fantastic ability to create superb LAN parties using the 10 Ethernet ports without having to worry about any Wi-Fi leeches. You'll also be able to personalize the color of each port with the help of customizable RGB LED controls. In addition, with the ability to offer a whopping 20Gbps the NETGEAR S8000 is an excellent source for speed and power. It's also an easy-to-configure device, allowing you to use a simple dashboard interface to have real-time control over your devices. Because of that feature, you'll be able to pinpoint traffic on the NETGEAR Nighthawk S8000 and make sure you have optimized data transfer for your devices. 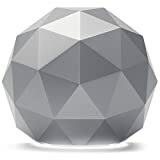 In short, the NETGEAR Nighthawk S8000 is a great option to increase the speed of your wired connections easily and quickly. This is a device for the serious gamer who doesn't mind investing the money into a device to make gaming connections more efficient. Consequently, it is one of the pricier options and may not be as budget-friendly as other choices. Pairs with routers well to create a stronger network. For wired speeds that can get the most from your router, this device is a fantastic option. With a wide coverage of about 2,500 square feet and Wi-Fi speeds of up to 1900Mbps, you can't fail with the Google Wi-Fi OnHub AC1900 Router. As a result, for kids and families who enjoy playing games on phones, tablets and consoles, this is truly the best gaming router option. This device is able to connect to 100+ devices and is offered at an affordable price for families. While on a family-sized budget, you'll still be able to get 2.5GHz and 5GHz dual-band connections that can help with eliminating dead zones and keep everyone connected. The Google Wi-Fi OnHub AC1900 Router is also designed with 13 powerful internal antennas as well as a Zigbee antenna that can deliver reliable coverage and a dedicated 2.4GHz Bluetooth connection. The OnHub AC1900 also works to protect your devices against malicious websites. You'll also have access to 24/7 premium technical support to ensure you receive reliable connections and service as well as keep you in-the-know with automatic security updates. The Google On app also gives parents ultimate control so that they can operate connections virtually through their mobile devices. 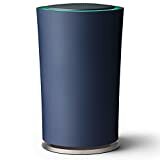 In conclusion, from the Wi-Fi speeds offered by the unique Wi-Fi antennas to the support and two-year warranty, there are a wide range of benefits that you can get from the Google OnHub. Here and there, some customers have found that they only get a strong connection when they are close to the device, which can be a problem for larger spaces that need to be filled. In addition, some others can begin to have problems after updating the firmware on the device. Some customers find it doesn’t have the range they’re looking for. In some cases, there can be difficulties with the firmware. For those who want something efficient, easy to use and family friendly, this is a wonderful device! 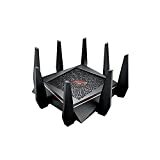 The ASUS AC3100 is the perfect gaming router when you need something for LAN parties or general parties. It uses eight-gigabit Ethernet LAN ports to allow a large group of friends to be able to connect their computers with the help of a wire to game together. You'll also be able to get a coverage of up to 5,000 square feet, ensuring that there are secured and reliable connections just about anywhere in your house or apartment. With a 1.8Gbps transfer rate and 2Gbps transfer speeds, the ASUS AC3100 is truly an expansive gaming router that is packed with power and a wide wireless range. In addition, this device is designed to offer up to 2100Mbps on the 5GHz transfer rate and 1000Mbps on the 2.4GHz connection. In combination with the 1.4GHz dual-core processor, 1024-QAM technology and 512MB of memory, you'll surely find that you're getting lower stable ping times and improved speeds overall. The ASUS AC3100 also comes with WTFast Gamers Private Network (GPN) to help reduce any hiccups in latency for gamers connected via wire. 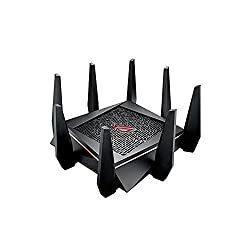 In addition, you'll have the benefit of ASUS iMesh, which can allow you to connect multiple ASUS routers to strengthen the connections of all the devices in your home. Overall, if you're on the hunt for the best features and prefer wired strength over connecting wirelessly, the ASUS AC3100 is a great option. If you decide to try out this router, then make sure you keep an eye on it to ensure it remains working properly, as some units can stop working without an apparent cause. Also, keep in mind while you're shopping that this is one of the more expensive options. Allows the connection to have a great range. Can sometimes cease working without apparent reason. For those looking for the perfect option for LAN connections, this device is worth trying out. With a cool design and combined data up to 5.3Gbps, the ASUS AC5300 Triband Wireless makes for a great runner-up. It also includes a lot of security features such as AiProtection that can help to protect against unsafe websites and malicious infected devices with high-tech security measures. You'll also get access to MU-MIMO features and a coverage that spans up to 5,000 square feet. 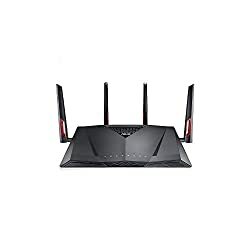 Furthermore, the ASUS AC5300 Tri-Band router is made to offer 512MB of memory, a 1.4GHz dual-core processor and three bands made up of a single 2.4GHz connection and dual 5GHz bands. In addition, the device uses 2Gbps link aggregation and four-gigabit Ethernet ports that can help the device to provide dedicated full-speed, strong Wi-Fi connections. This device also uses the latest 802.11ac 4x4 technology to ensure low ping times to connected devices. With optimized routes and built-in game acceleration, the ASUS AC5300 makes sure that your game servers are efficient for competing and don't lag. Consequently, no matter what connection type you use, you'll get the speed you need for even the most intense online multiplayer matches. Overall, it's a fantastic device that is built to be solid and powerful so that you can always get the connection you need. For those who try out this device, it's a good idea to keep an eye on the device and connections, because in some rare instances it can either disconnect or cease working altogether without a direct cause. Increases the speeds you can get for your connections. Provides a lot of range. Made with three bands for multiple connected devices. In some cases it can cease working without apparent reason. If you need to connect several devices and require three powerful bands to do so, this device is worthwhile to try out!